That’s why at Bellbowrie Family Medical Practice, we take women’s health seriously. We treat your concerns with confidentiality and professionalism. Whatever health concern you may have, you’ll be pleased to know that no problem is too big, or too small for us. When you see one of our fully qualified women’s health Brisbane doctors, you can set your mind at ease knowing that your health matters to us and that our doctors can discuss any number of health topics you need advice or treatment for. Ready to book an appointment at our women’s health clinic? Simply book online or call us on 07 3202 5360 to see a doctor who truly understands your health concerns. Caring for your breasts is an important part of being a woman. At Bellbowrie Family Practice, we facilitate breast care at all stages of life, from arranging mammograms to breastfeeding advice and regular breast checks. Along with regular breast screens and mammograms, every woman should undertake breast self-examination and if any lump, thickening, swelling, irritation or redress is found on the breast, book in with one of our doctors for a thorough examination. Women can easily take control of their contraception thanks to the multitude of options now available. Our qualified professionals can help you choose contraception that is right for you with advice that is tailored to your unique situation and health needs. Along with the pill, which continues to be the most commonly used form of contraception available today, implantation is also available as an option at our women’s health clinic. Menstruation is a common women’s health issue. If you suffer from heavy or painful periods, periods that are inexplicably absent or other menstrual abnormalities, don’t suffer in silence! Our doctors understand what you are going through and will offer real solutions to your pain and trusted advice to alleviate your concerns. So, if menstrual concerns are having a negative impact on your life, make an appointment to talk to one of our doctors. Puberty doesn’t always go smoothly, and for girls, the hormonal, body and menstrual changes can be particularly tough for some. That’s why our team of professionals can help with issues such as delayed puberty, early puberty, growth concerns, menstruation problems and general health and well-being during the teen years. Whether you are pregnant or trying to conceive, we offer professional care and support during this exciting time. We tailor our advice to your health and lifestyle, and we understand any problems you may face with conception or during pregnancy. Before you conceive, we offer comprehensive antenatal advice and care, and our pregnancy and postnatal services give you peace of mind throughout your pregnancy journey. We can also arrange for diagnostic tests or a referral to a gynaecologist or obstetrician for specialist care. Our doctors understand what matters to you and we always aim to assist you in having a positive pregnancy experience. So, when you have your preconception, prenatal or postnatal care undertaken at our women’s health clinic, you can feel reassured that we care about your health and the wellbeing of your baby. There’s no need to be shy about your sexual health concerns at our women’s health clinic. Whether you have questions about sexual dysfunction, sexually transmitted infections (STIs) or other sexual health issues, we will treat you with courtesy and respect. We value your privacy and dignity and understand your concerns. Gynecologic cancer – cervical, ovarian, uterine, vaginal and vulvar cancer. 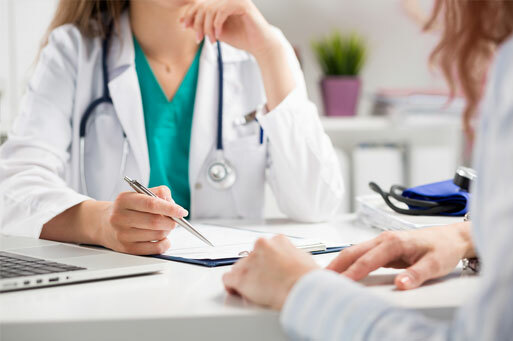 As a clinic who is highly experienced in women’s health Brisbane wide, we are in the best position possible to assist with your health concerns in all these areas. We perform pap smears and other minor procedures in the privacy of our rooms. Our professionals are skilled in performing all types of procedures, so you can relax knowing that you are in good hands. Your comfort is important to us, so feel free to discuss any concerns you have with your doctor. For all your women’s health needs, look no further than Bellbowrie Family Medical Practice. We are committed to offering quality health services and look forward to providing ongoing care to the ladies of the Bellbowrie area. We also understand that sometimes you’d prefer to speak with a female doctor about certain health issues, so be sure to mention Dr Sara Sabery Raieni when you next book your appointment. To find out more about our women’s health services, call our friendly team on 07 3202 5360 or make an appointment using our online booking service.